Have you ever thought that you could have your wedding, funeral, or naming ceremony in a spiritual centre or that your local spiritual person can organise the event for you, well they can and they do. More people are licensed to do weddings, and any person who understands the protocol of funerals and spiritual naming ceremonies can conduct these ceremonies. Weddings can nowadays take place on any property that has a license to perform weddings. 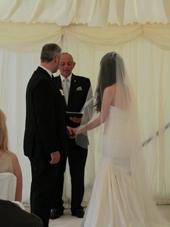 Do not be put off that the ceremony needs to be performed in a church or a registry office. Think about how you would really like your special day to be and if you would like some guidance as to the planning or ideas that meet your dream requirements just contact us. You make-up and Personal flowers can also be arranged for you to get the required design, subject to the time of year and flowers available. 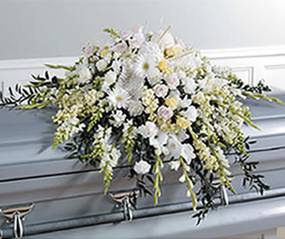 We can help you to plan your funeral in advance, so as to help you family in their time of need. Funerals can be organised so that everything is in place, the music, hymns, readings, the chosen person to conduct your funeral, so that you can get the funeral you wish. They do not have to be the dull and morbid affair that so many are, they can be uplifting, memorable, yet respectful. The order of service does need to be agreed with you, as it will require planning, the chosen words and music, all these will be required, as any funeral. You can choose from a wide variety of coffins, from eco friendly versions, paint effects from angels to leopard print, to the standard wooden casket. Your hearse does not need to be black, in these modern days we are aware of a pink hearse available, the Victorian Carriage with horses, all these are available, where the departed wanted something a bit different. So speak with us via our contact details on this site and we will be to pleased to advise. Lesleigh & Malcolm are available to conduct the funeral. We can arrange for the coffins to be decorated with a paint effect if so required, Subject to time factor of the decoration and date of funeral against time of passing. Personal flowers can also be arranged for you to get the required design, subject to the time of year and flowers available. Pet ceremonies can also be arranged, with information about pet cremations being available in the local Sussex area. Our pets are so part of our lives, they are our companions, friends, part of the family and confidants. What a beautiful way to honour the life of your pet. Pet portraits can also be arranged. Spiritual naming ceremonies are beautiful occasions and are lead by a medium of your choice ( If available) who links with the world of spirit and channels a spiritual name. This name is given to the person in their naming ceremony. This can be done at any age, from babies to adults. Sponsors are chosen, who are there for you through your life to help and guide, like traditional god parents. This is a beautiful time and can be experienced by all. They then will be given a blessing and the candle lit for you. 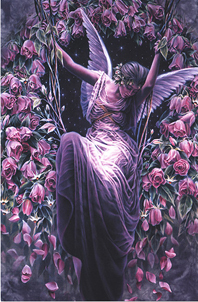 A reading will be chosen, after the reading the medium will honour your spirit with your spiritual name, which is a very special moment. A tribute will be given by your sponsors and guests, they will then be invited to present their chosen gift to you, this is normally in the form of a flower, crystal or something angelic. This will be arranged when you discuss the ceremony with us. You can if you wish follow this by having a theme, drinks and buffet food can be served. If you wish to know more or would like to make a booking, and discuss the cost and details, please contact the following number to make arrangements. Home blessings can be arranged to bring harmony and balance into your homes. Advice can be given as to how this can be achieved.